I never set out to be the poster mom for blended families. DC and I were both married before. His wife died. My marriage hit the rocks. And three years ago we gave marriage another shot. Today we are a blended family of five arguably grown children (his three plus my two), who range in age from 23 to 38 and live scattered like dandelion thistle across four states. Actually, we’re double blended. When DC married his first wife, she had a 5-year-old son, so DC’s eldest is a stepson. We are a mixed, colorful, widespread, crazy quilt American family. And we are the norm. 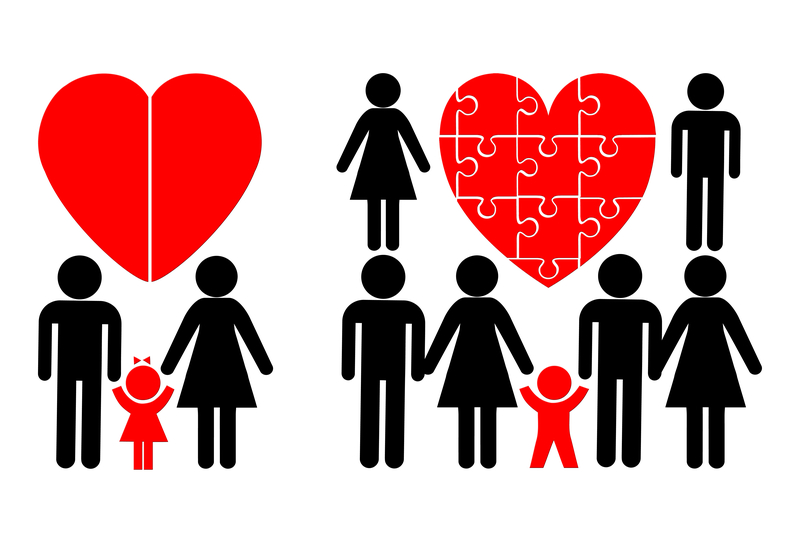 In America, the intact, biologically bonded, mother-father-and-child family is not the rule. The re-coupled family is, said Dr. Jeannette Lofas, president and founder of The Stepfamily Foundation, and author of five books on stepfamilies. “Today, 60 percent of families live in some form of divorced or stepfamily relationship,” she said. As the female lead of this new ensemble, I looked around for the blended-family playbook, and didn’t find one. While I will leave the subject of how to negotiate the psychological repercussions to the experts, here’s what I can tell you: Home design has a role. How you decorate your home shows kids — regardless, of whether they live with you full time, part time or just visit, whether they’re in diapers or in high school, off to college or off making their own homes — their place in the new normal. Provide equal representation. If you have all your son’s soccer trophies and memorabilia on display, but precious little reflecting your partner’s daughter’s debate championships, balance the scales. The kids will notice. Display photos with intention. The family photo wall or table is symbolic, and is an opportunity to show the blended family coming together. The kids will be looking, believe me, at how they fit in, and who’s most prominent. Get literal. Names painted above coat hooks, monogramed on pillowcases, or engraved on matching mugs give kids a sense of belonging.